How much time do you spend on gardening a week? 3 hours? 4 hours? Gardening is a typical home activity that is mostly enjoyed but due to our day-to-day work requirements, we don’t have enough time to beautify our garden and outdoor spaces. So how can we provide the attention that our garden needs through garden maintenance? Check out these tips on gardening maintenance to help you see positive results from your garden. In garden maintenance, keeping your flowering beds evenly moist is of utmost importance. 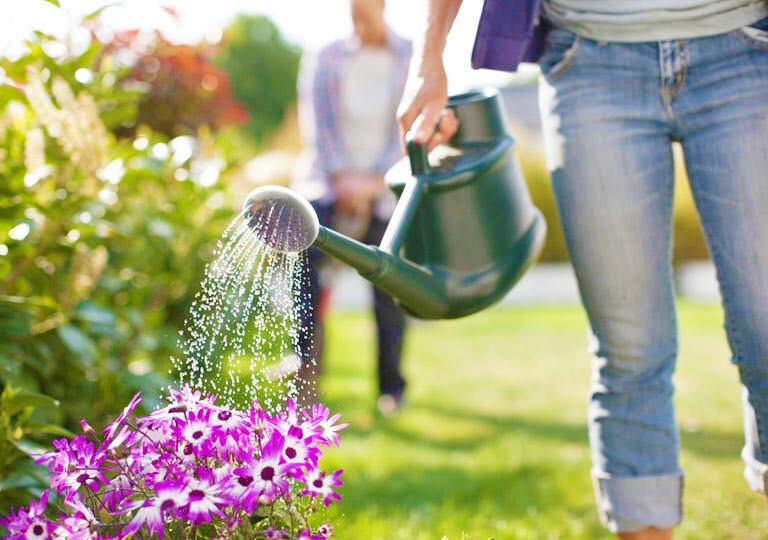 Remember, it’s better to water your plants in the early morning or evening since water is likely to evaporate when the temperature is cooler. Water the roots and not the leaves and plant heads to prevent moulds from forming. Aside from this, water the plants gently to avoid damaging the roots and the stem.It’s best if you can install an irrigation system. It can evenly and efficiently distribute water on fixed cycles dependent on your needs. The harsh heat of our summer season may make your lawn prone to aridity. Temperature beyond 30 degrees Celsius can affect the growth of your plants. As part of your garden maintenance, avoid cutting the grass too short during the hot season. The grass protects the soil from drying out that’s why maintaining up to five centimetres is advisable. If you don’t have time to do this, you can get a lawn mowing service to do the grunt work for you. When watering the grass, the optimum time is between 4 am to 8 am. It’s best if there will be an automated system to manage it during these hours. The recommended volume of water for lawns is about 10-15 litres of water per sq.m. You don’t want for moulds to form so avoid over-watering your lawn. 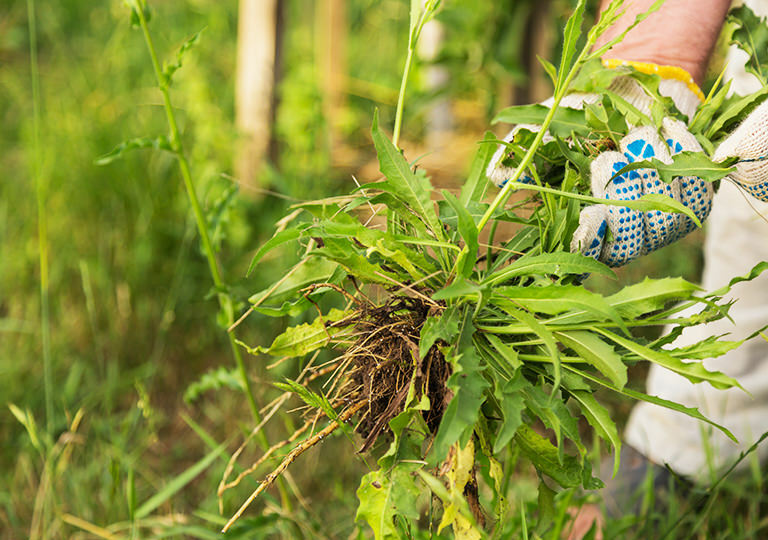 One of the challenges in garden maintenance is getting rid of pesky weeds. In a matter of days, they can take over your garden if not mitigated in its early stage. The best and easiest way to solve this is to minimise the space available for weeds to grow and develop. Or if it has already started, you can use mulch to prevent the seeds from sprouting. Remember, you need to act fast if you don’t like to find yourself in a daunting task of pulling them out from the soil. 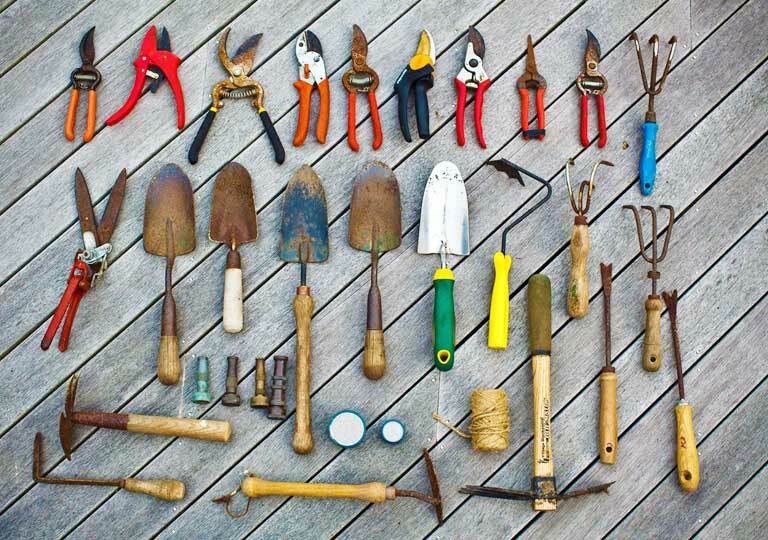 Garden maintenance is not possible without your garden tools. If you keep them organised, you know where to find them. Check the space available in your garden. Is it possible to allocate a wall in your garage for all your gardening tools and supplies? Do you have a room for a garbage can or a pegboard? Once you know how much space you have, it’ll be easier to devise a plan to follow. A pegboard system allows you to hang most of your tools so you can easily access them as needed. Smaller devices and supplies should be kept in baskets or shelves to avoid them from getting lost. Loop belts will also come handy for hard-to-find tools. 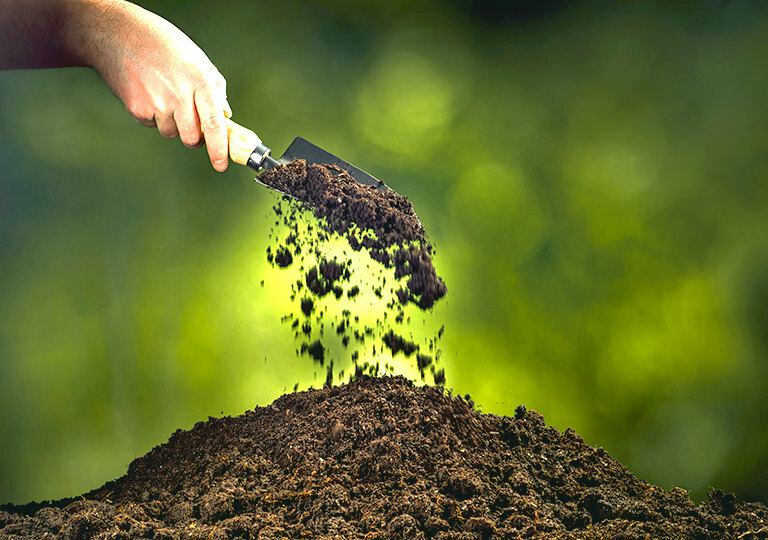 The best way to carry out your garden maintenance duties is to keep the soil healthy. Remember, not all materials in the compost pile undergo the decomposition process at the same rate. Some of the materials may have degraded completely, but others have not. Make sure you only use wholly composed pile yard waste for your garden to avoid introducing potential disease to your plants. Clean out your garden after the autumn season. It is an effective strategy to control diseases from spreading in your garden. Bugs can start attacking the dead leaves and can target the new leaves as well as soon as they emerge in spring. 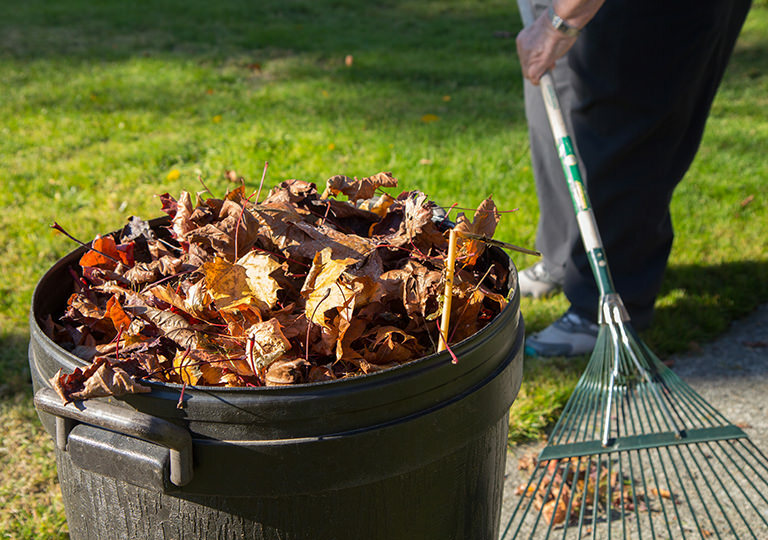 If you clear away the dead leaves each fall, the spreading of a disease can dramatically lower down. Dry leaves fall all year round, so it is mandatory to schedule your garden cleaning at least once a week. Fertilising your plants as part of garden maintenance keeps your garden healthy and lush. However, you need to be cautious in fertilising your plants since too much can burn the roots and stunt their ability to absorb water. An overabundance of nutrients can cause stress to the plants causing them to be more susceptible to diseases like leaf spots. Know the nutrient levels in your soil by undergoing a soil test. Avoid the guesswork since it can result in imbalances. Do you know that crowded plants are triggers for the onset of diseases like rust and mildew on plants? Improve the airflow around your plants to reduce humidity. Aside from this, when you place the plants too closely, their growth will be hampered due to competition to water and sunlight. As a goon garden maintenance method, rearrange your plants to give them room to breathe and grow. Often the best way to keep your garden lush and healthy is knowing the basic tips in garden maintenance. It’s not an easy job to do it regularly, so it’s advisable to hire a garden maintenance professional to do it for you. They will help you take care of your garden with less cost and effort on your part while maintaining your garden lush and healthy.